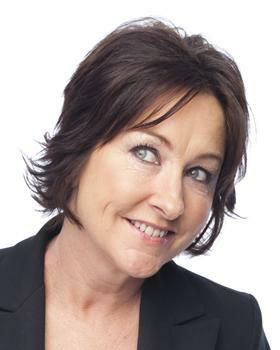 A veteran of the Australian Entertainment Industry with a massive following both here and overseas, Fiona O’Loughlin is one of the most in-demand comedians in Australia. A late starter, but with an award winning career of almost 15 years, Fiona plays to packed houses in venues and festivals across the globe. Winner of the Melbourne International Comedy Festival’s (MICF) Best Newcomer Award in 2001 – her career has gone from strength to strength ever since. In 2006 she took home the coveted MICF Piece of Wood, an award for funniest show as voted for by other comedians. In 2007 and 2008 she was nominated for the MICF’s Barry Award for Best Show. And in 2013, Fiona was awarded Adelaide Comedy’s Best Visiting Comedian award. Fiona has also taken her unique story-based comedy to LA headlining the world-renowned Improv Comedy Club, in addition to repeat seasons in Hong Kong, performing at Edinburgh Fringe (the world’s largest Arts Festival) Montreal’s prestigious invitation-only Just For Laughs Comedy Festival and the UK’s oldest, Leicester Comedy Festival.